Tonight I'm changing things up just slightly. 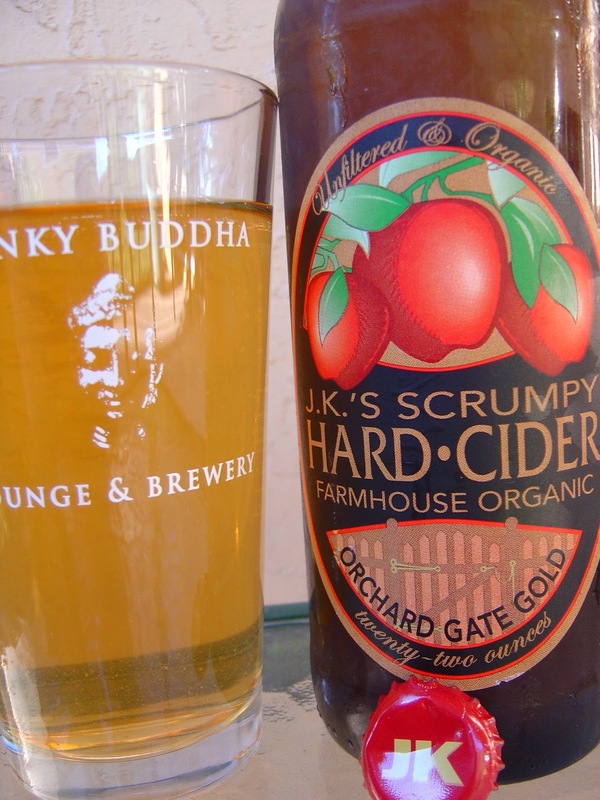 I'm drinking J.K.'s Scrumpy Hard Cider fermented by Almar Orchards in Flushing, Michigan. It's been a while since I've had a hard cider, at least not a flavored one at some rich kid's birthday bash. 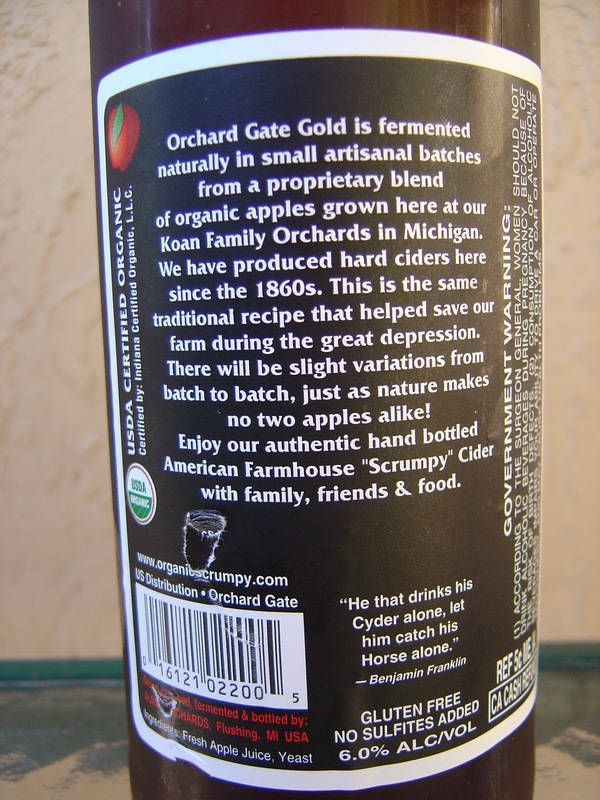 This one happens to be unfiltered and organic and only has apples and yeast as its ingredients. The apples are actually grown on site at the Koan Family Orchards (I guess Almar is one of those). 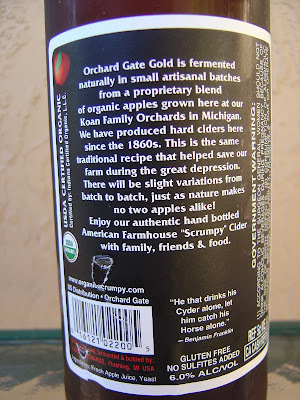 Nice inviting apples on the label. On the back, Ben Franklin is quoted as saying, "He that drinks his Cyder alone, let him catch his Horse alone." Fruity apple aroma with a hint of vinegar. Very smooth to start; not sure why, but I was expecting some kind of prickly offering. The flavors are very much apples, but not really any variety in particular. A nice sweet beginning is balanced by a tangy and refreshing zing. The carbonation is also very nice, just medium. Full of flavor and quite delicious. The 6% alcohol wasn't really very noticeable though it's difficult not to tell this guy was hard. I could have easily had another big one. Maybe I'll try a few other ciders.